For the Fourth of July weekend, I decided to go to LA to visit my friend Kat. In addition to being one of my best friends the last 12 years, Kat is also a very loyal blog reader. When Kat read about my adventures biking in Central Park, she suggested we go biking by the beach again. 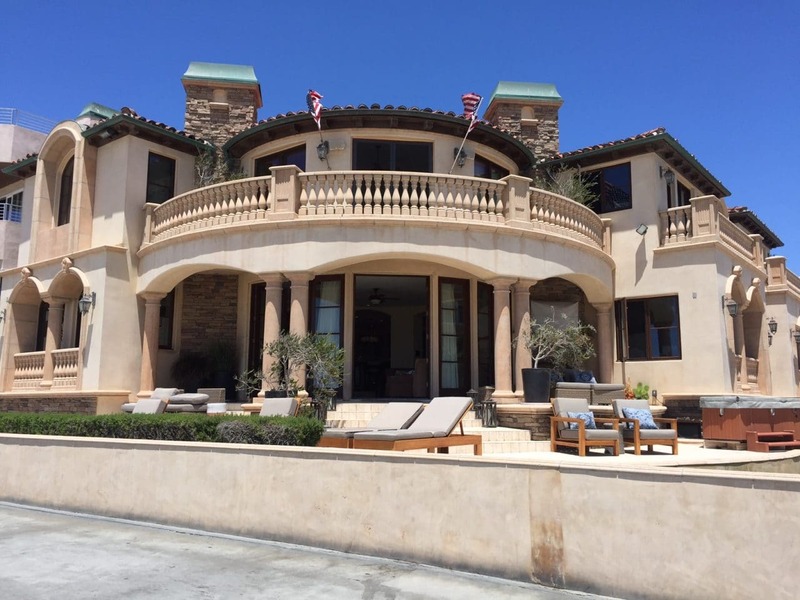 In my previous trips, I had visited most of the must do attractions in Los Angeles. Let me tell you about our experience biking in the South Bay. It’s a great option if you are looking for a place to ride your bike in LA. 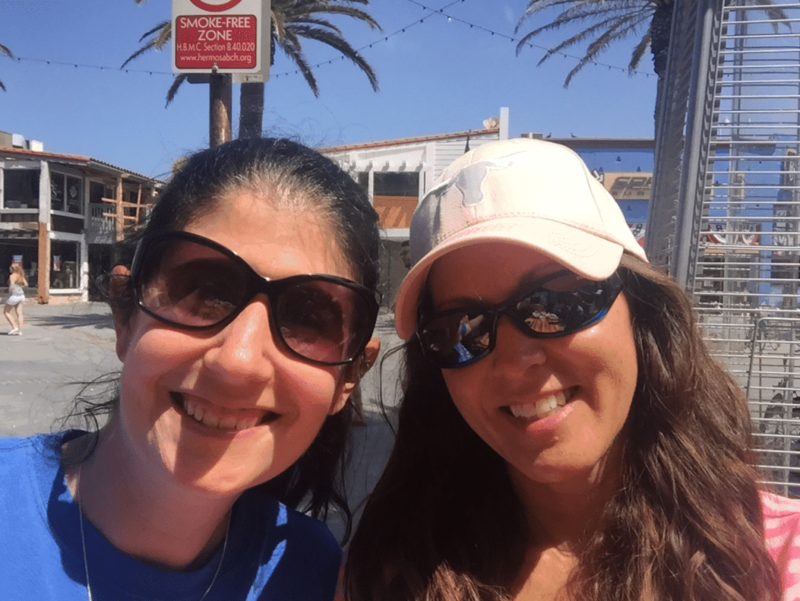 Last time I visited her, we had biked from Redondo Beach, where she lives, to Hermosa Beach and back, so our goal this time was to go farther along the South Bay. Luckily, Kat has several bikes, so I could just use one of hers. 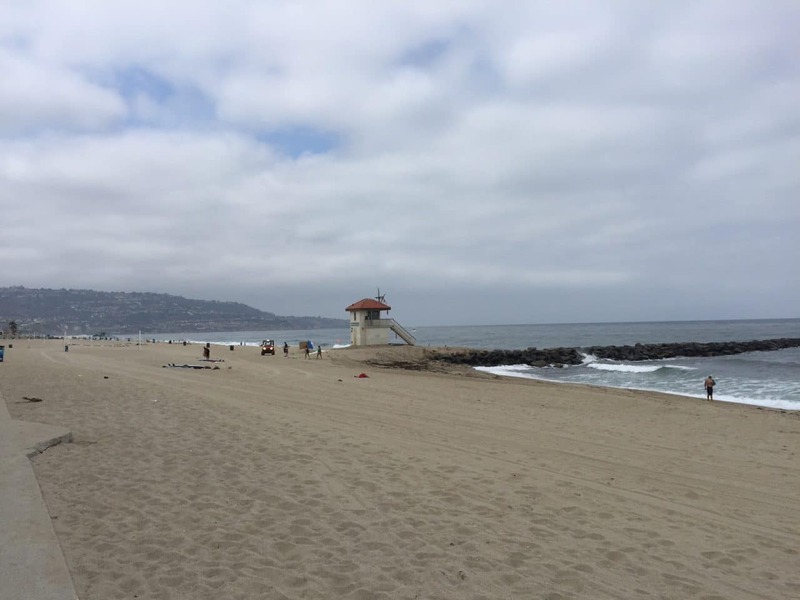 Love the peacefulness of Redondo Beach in the mornings…. The South Bay is a very bike friendly area. The entire route is about 22 miles mostly on the beach, but there are some sections where you ride in the bike lane on the street. There are also a few sections by the piers that are crowded, so signs direct you to walk your bike. Please obey these signs, as I have read about people getting tickets for riding in walk your bike sections. Unfortunately, there are some sections where pedestrians and bikers do have to share the same path. If you think biking by the beach is too easy for you, there are more challenging bike rides in the Santa Monica Mountains. Also, it is nice to know that there are several public restrooms along the route. The path is pretty much flat, with only a couple of places with slight inclines. The sand looks so nice, doesn’t it? The water is cold, but plenty of people went in! One thing I noticed throughout my ride is that there were a lot of people that exercise at the beach. Of course, there were runners, but I saw people doing stairs and also push-ups. We also saw plenty of surfers and people playing volleyball on the beach. It was motivating seeing everyone working on getting in shape while we were biking by the beach. The Redondo Beach Pier has lots of great food options. The first section of the path was on the beach and not too crowded so I could get comfortable with the bike. Before I knew it we were to the Redondo Beach Pier. 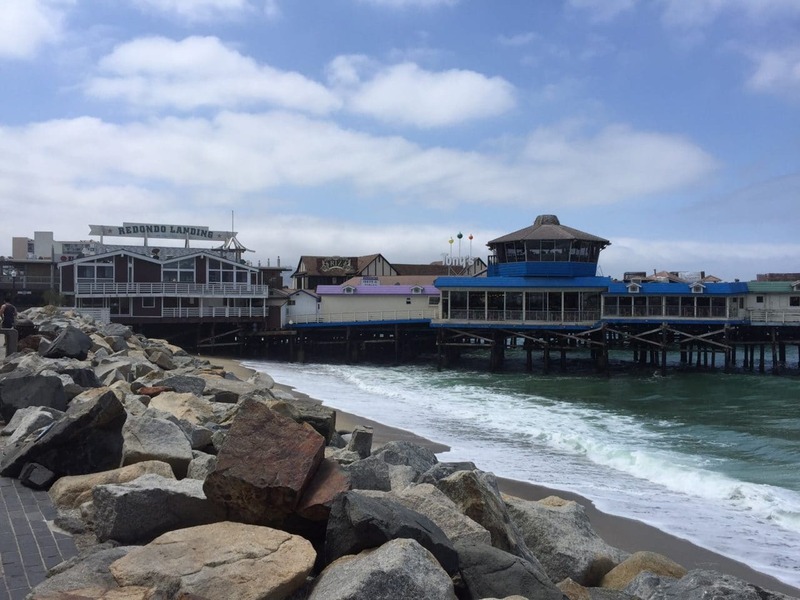 The Redondo Beach Pier has some great restaurants – another day we ate at Barney’s Beanery. Plus there is a gelato place. By the pier, there is a section where you have to walk your bike and then a section that goes through the parking garage. Be careful here: there are some sharp turns and sometimes pedestrians in the bike lane. Shortly past that section, you ride for a bit in a bike lane on the street. Then you get to Hermosa. 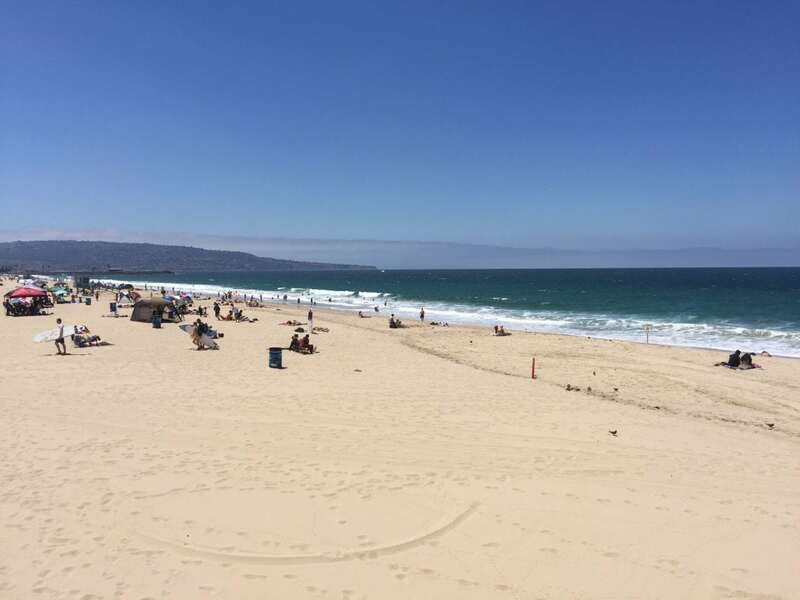 There are also lots of places to eat (and drink) at the Hermosa Pier. We decided to have brunch at Baha Sharkeez. They normally have a great breakfast special but didn’t offer it since it was a holiday weekend. Instead, we had the regular brunch special which included mimosas. I drank more water than mimosas since I wanted to be able to continue biking by the beach. A twist on eggs benedict for brunch. Yes, that is fried macaroni and cheese as the base. On the other side of the pier there is a memorial to Greg Jarvis, who is an astronaut on the Challenger who was from Hermosa Beach. It made me think back to that day in 1986, I remember watching the launch on tv at school. Christa McAuliffe, who was a civilian school teacher got a lot of the attention in the media but six others also lost their lives. I thought it was a very touching memorial and I liked that one of the tiles showed Jarvis’ hobby, tandem bicycling, which he used to enjoy with his wife Marcia. And then you will start to see some amazing houses. I saw a lot of parties and BBQs going on! Wouldn’t it be nice to have one of those houses, but I don’t even want to know how much they cost! 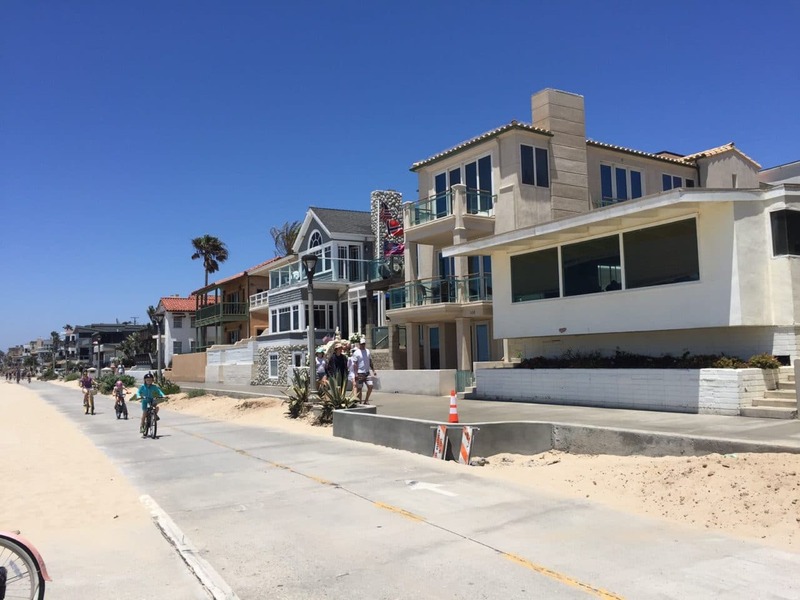 Before you get to Manhattan Beach there are some stairs. If you want to avoid them, you can cut through the neighborhood by turning right on 24th St. and riding in the bike lane on the street. Then just when I thought I had seen some beautiful houses, the houses got even bigger and more elaborate. I found myself checking out the houses more than the beach! Manhattan Beach also has its own pier. One of these trips, I will spend some time there and check out the Aquarium. The Aquarium is free to the public, they just ask for a suggested donation of $2-$5. Perfect house to have a beach party! I don’t even want to know how expensive these houses are! After Manhattan Beach, there is a section where you will be riding right next to a huge industrial plant. I wonder what they were thinking putting this here on beautiful ocean property, but it is what it is right? I should have taken a picture to show what an eyesore it is, but I was focused on how nice the ocean was. Beautiful coastline along one side and factory along the other! 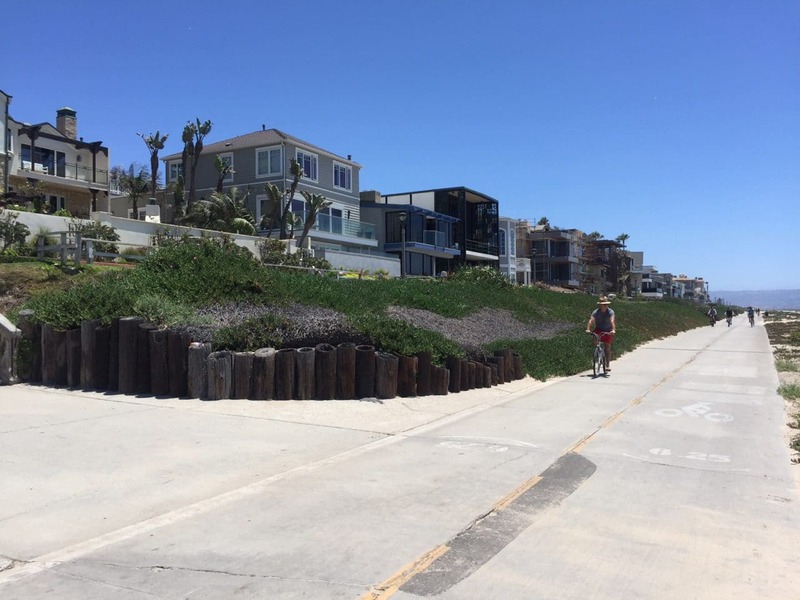 We kept going to Dockweiler Beach before we turned around, but the trail goes for 22 miles so if you want to do more you definitely can. I would love to see more of the beaches in LA. Just be sure you have enough energy to bike back to where you started. I might try to do more biking by the beach on my next trip. 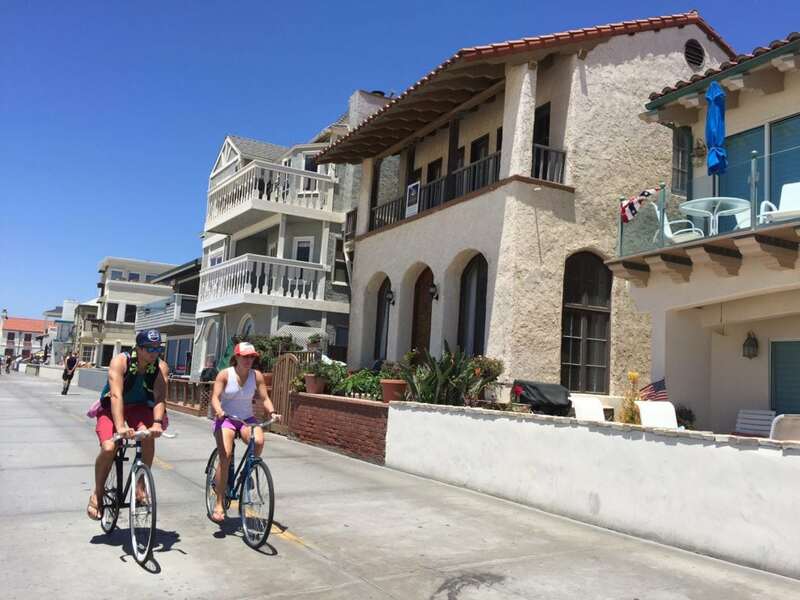 Perhaps biking on Balboa Island? Biking by the beach was a lot of fun and good exercise, so if you are in the area, you should give it a try. My only regret is that I should have put on sunscreen, my arms ended up pretty burned. 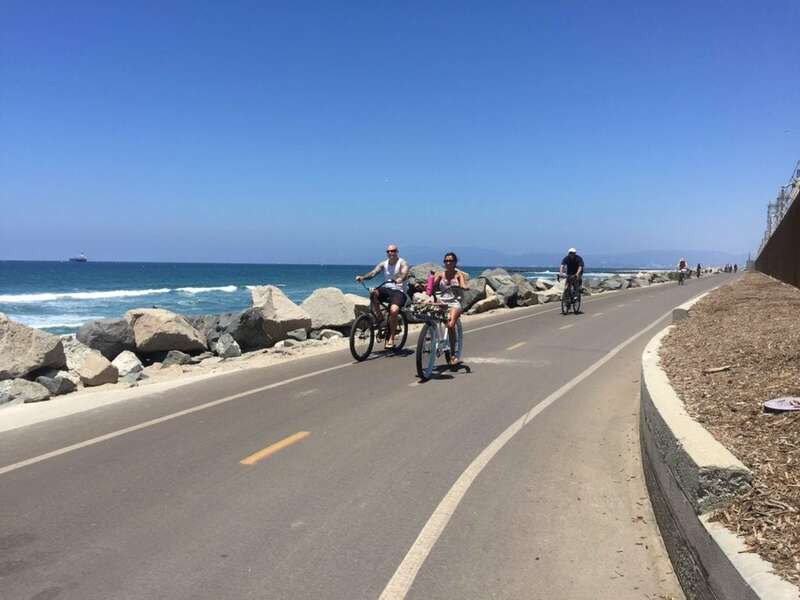 Have you done a bike ride while on vacation? I would love to hear about your experience. Be sure to walk your bike where directed by signs. 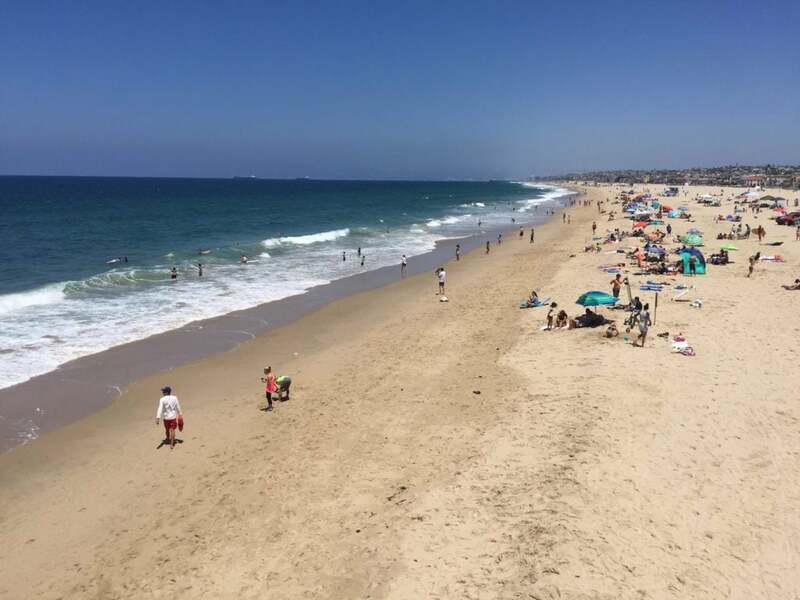 Take a break from biking by the beach and stop for a bite at the Redondo Beach or Hermosa Beach Piers, there are plenty of options. 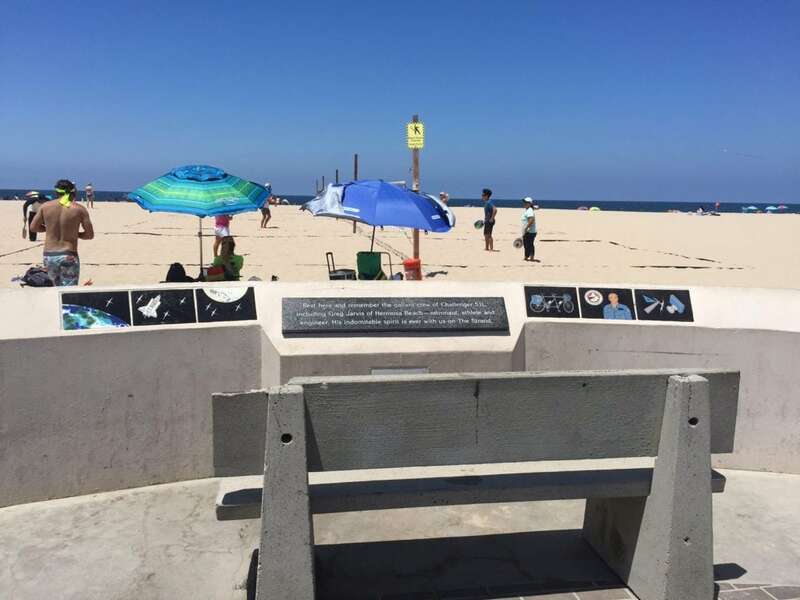 For more ideas of places to visit, check out this list of fun spots in Los Angeles. Haha yes! Surprisingly I didn’t have any gelato this last trip! Thanks Clare! Its a great beach and they did a great job with the path. David – Thanks. Yes it is a great area, even if you are not a biker, the path is great for walking or running. The scenery is great and there are plenty of places to stop for a drink or a bite. I hope next time you are in LA you will check it out. Thanks Angie. Yes the sand was lovely! I spent another day just relaxing on the beach. And yes living in one of those houses would be a dream come true! Thanks Victoria. We did have a great time! 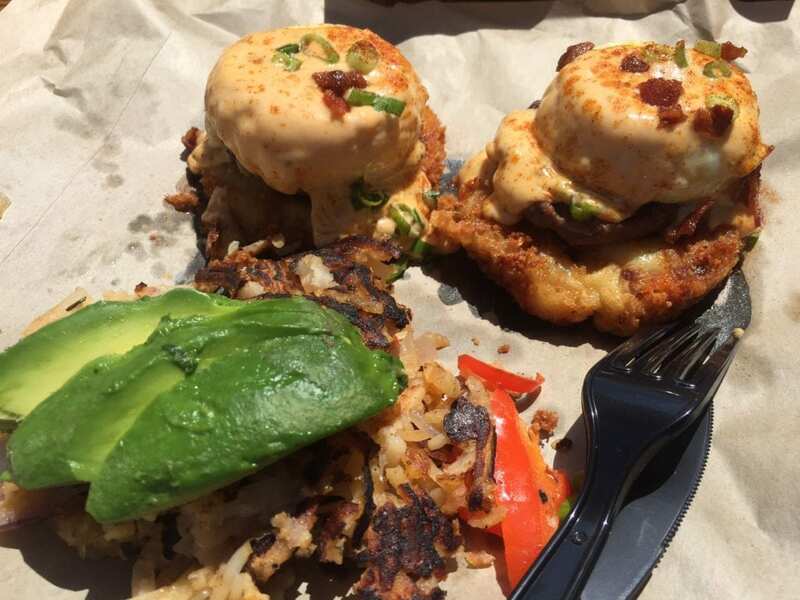 It looks like a great weekend the two of you shared but I’m not so sure about fried Mac n cheese going well with eggs benedict! That is certainly a twist on a classic brekky. Lyn – haha it wasn’t the healthiest brunch but it was delicious. I figured since I was biking I could splurge. Haha yes it was delicious. Hopefully I burned off at least some of the calories during my bike ride. Looks like you had a fun ride! Rob has family in Manhattan Beach, and many fond memories of bike riding and roller skating along those beaches and sidewalks. We haven’t been there in too many years, but loved following along your ride through one of our favorite areas of LA! Glad to hear you enjoyed it. Manhattan Beach is a great place to visit family, hopefully you will make it back soon. Thanks Roota, yes we had a great time. Such a relaxing moment by the South Bay, although I would prefer to do biking in Griffith Park but having the sea breeze may be a good change as well. Thanks Gina. Next time I will have to try that.